Ace rally driver Gaurav Gill took the lead on the opening day of the 10th edition of the Maruti Suzuki Dakshin Dare that spans across 2000 km and three states. The 10th edition of the Maruti Suzuki Dakshin Dare is being held over 2000 km and will traverse through the states of Karnataka, Maharashtra and Goa. The first round of the rally saw cars compete in three special stages through dirt and gravel, with a total distance of 129 km. The bikes, on the other hand, covered a total distance of 86.42 km across two special stages. Ace rally driver Gaurav Gill leads the on opening day of the Dakshin Dare rally in Davangere, Karnataka for cars, while Yuva Kumar takes the lead in the two-wheeler category. Gill, who has also been showing his mettle in World Rally Championship this year, completed the three special stages of the day in 2h25m47s. 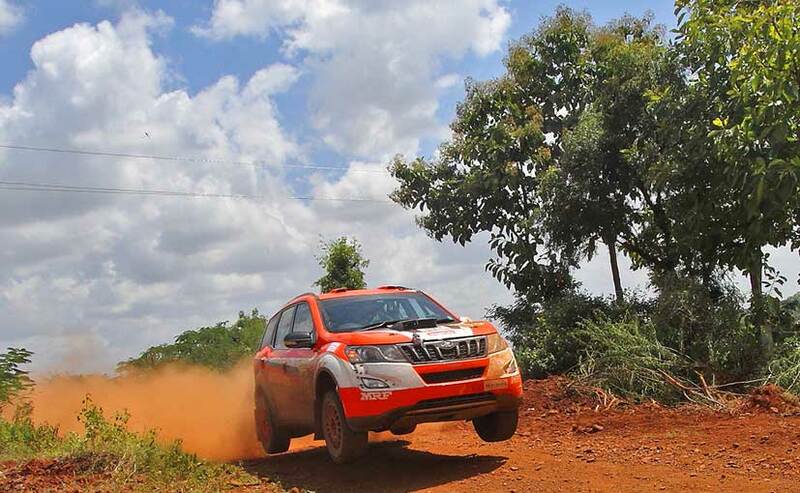 Gill and co-driver Musa Sherif driving the rally-spec XUV500 for Mahindra Adventure, were a good 5 minutes faster than teammates Philippos Matthai with co-driver VVS Moorthy, with the latter completing the stage in 2h30m19s. Coming in third on Day 1 were Amittrajit Ghosh with Ashwin Naik, with a time of 2h30m24s, just 5 seconds behind Philippos Matthai. It was a slow start for Gill and Sherif on Day 1 and the driver only managed to pick up pace as the day progressed. The terrain posed a tough challenge for the rally specialist. Speaking about his performance, Gill said, "We were not aware of the terrain and there was lot of gravel on the tracks. I usually scorch the track but here I had to be cautious and slide through the corners rather than coming in fast." 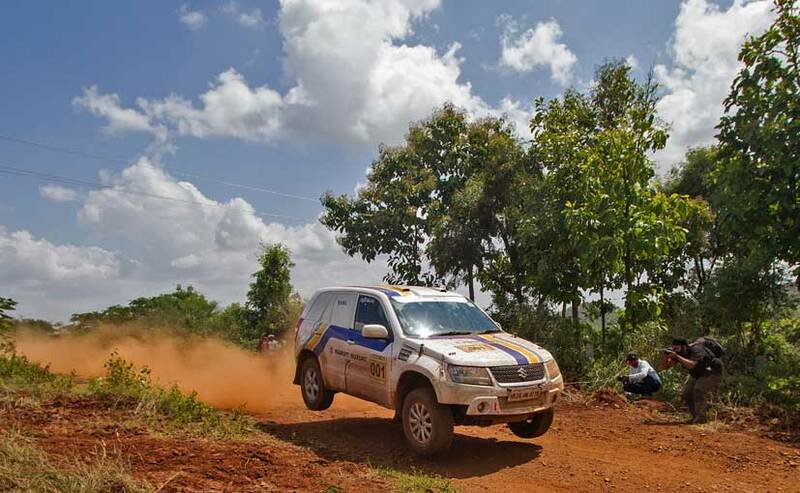 For defending champion Suresh Rana of Team Maruti Suzuki, the driver picked up a puncture in the first special stage itself, which cost the driver 7 precious minutes and eventually finished fourth. Rana will now be looking to fight back into the lead over the next four days. In the two-wheeler category, Yuva Kumar took the lead on the opening day with a time of 1h43m30s, while coming in second was Vishwas SD with a time of 1h48m22s. Akash Aithal took the third place completing the leg in 1h49m29s.